lazy) and I'm more than ok with that! P.S. How is it the last day of February?! Nicole, you are ROCKING that baby bump!! You look amazing, and I love those heels. I'm so glad the weather is getting warmer now so I can wear comfy tee's as well. I love your cargo pants! Love this look! 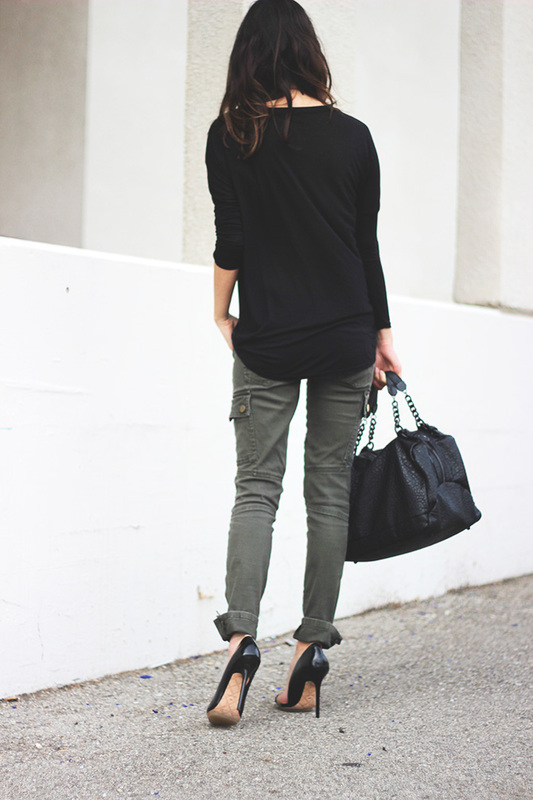 Those cargo pants are perfect! Love your baby bump, its so perfect!! !